One giant landing for Japan, one batch of blurry lens flared images for mankind? In case you missed it, Japan hit a pretty big milestone recently when it successfully landed twin rovers from its Hayabusa2 probe on the Ryugu asteroid. In a Twitter update, the Japan Aerospace Exploration Agency (JAXA) announced that the rovers were in "good condition" and that they were transmitting data and photos. Shortly after, photos taken by the rovers were shared with the world, but they weren't as exciting as we had hoped. 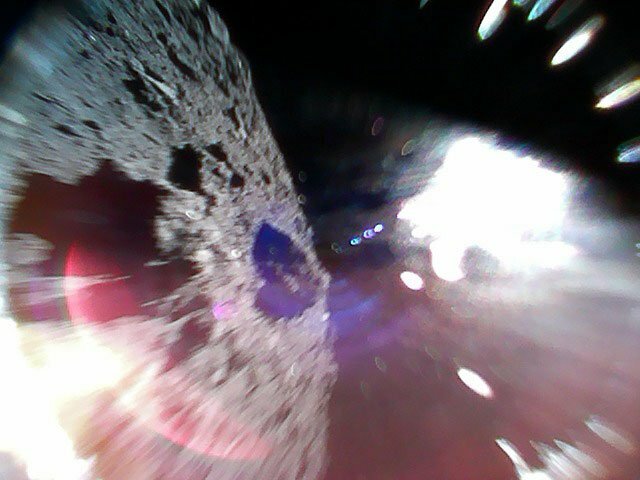 JAXA's MINERVA-II1 rovers are designed to move around the asteroid by hopping, so some of the photos shared so far are action shots that have the motion blur and lens flares of a J.J. Abrams blockbuster. It's hard to tell what the rovers are seeing besides darkness and rocks, but the fact that they are seeing anything at all is an accomplishment worth applauding. 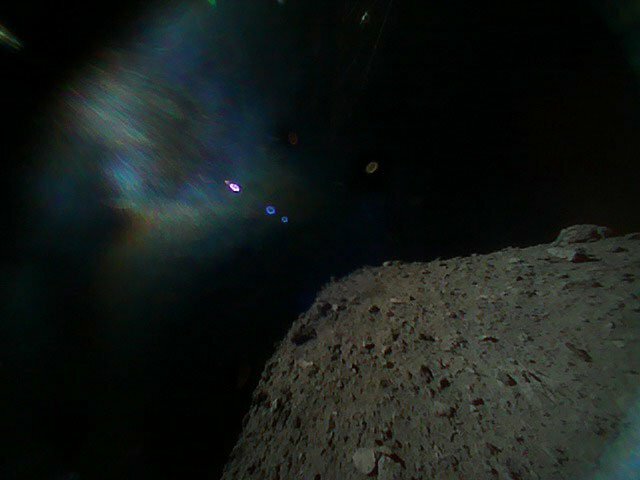 The tweets that accompany the images attempt to situate the viewer, but all you really need to know is that the rock is Ryugu and the light is from the sun. 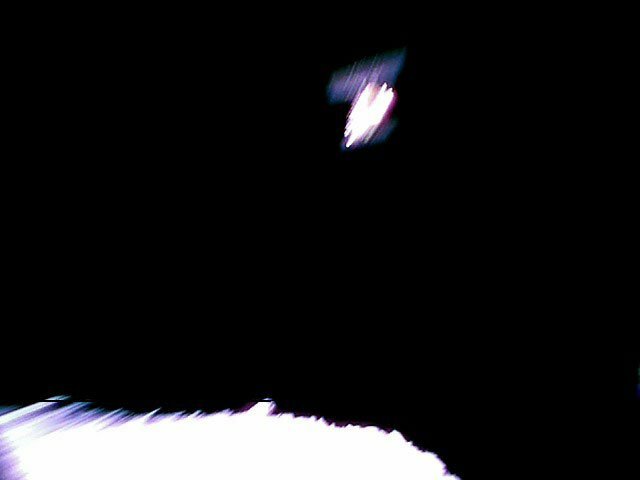 "Although I was disappointed with the blurred image that first came from the rover," said Hayabusa2 project team member Tetsuo Yoshimitsu, "it was good to be able to capture this shot as it was recorded by the rover as the Hayabusa2 spacecraft is shown." "I cannot find words to express how happy I am that we were able to realize mobile exploration on the surface of an asteroid," added project manager Yuichi Tsuda. "I am proud that Hayabusa2 was able to contribute to the creation of this technology for a new method of space exploration by surface movement on small bodies." If you want to follow the rovers more closely, JAXA recently launched an English version of its project site with all the stats and details anyone could possibly want. You can also follow their official Twitter account for more photos from the surface of the near-Earth asteroid.